Tattooing has evolved quite a bit since the first tattoo shop opened in New York City in 1870. Nowadays, tattoos are more common, with 38 percent of people ages 18 to 29 having at least one tattoo, according to a Pew Research Center study. Among the tattooed include students, staff and faculty at universities around the United States. In the past, tattoos were often seen as taboo in the world of academia. Many university students, staff and faculty challenge stereotypes about appearance in the professional world by having visible tattoos. Andrew Thompson, assistant professor of sociology at Ithaca College, has tattoos. Thompson said he sees the increase in tattooing in correspondence with the rise of globalization in the post-1960s world and the transformation of consumer society. Tattooing has long been associated with self-expression and as a way to take autonomy over one’s body. People’s reasons for getting tattoos exist across a broad spectrum. Some of these include an act of rebellion, spontaneity, or self expression. Tattoos can also be a path to body acceptance. Both men and women had a higher body appreciation, higher self-esteem and lower levels of anxiety after getting tattoos, according to a study in Body Image Journal. Mike Ortolaza is a tattoo artist in Ithaca. The veteran tattoo artist began his career in Rochester, N.Y. about 14 years ago and has been tattooing at Medusa Tattoo in Ithaca for the past three years. Ortolaza, who got into the job after a stint in graphic design, said Rochester is a busier market in comparison to Ithaca. There are five studios in Ithaca, whereas there are over 20 studios in Rochester. 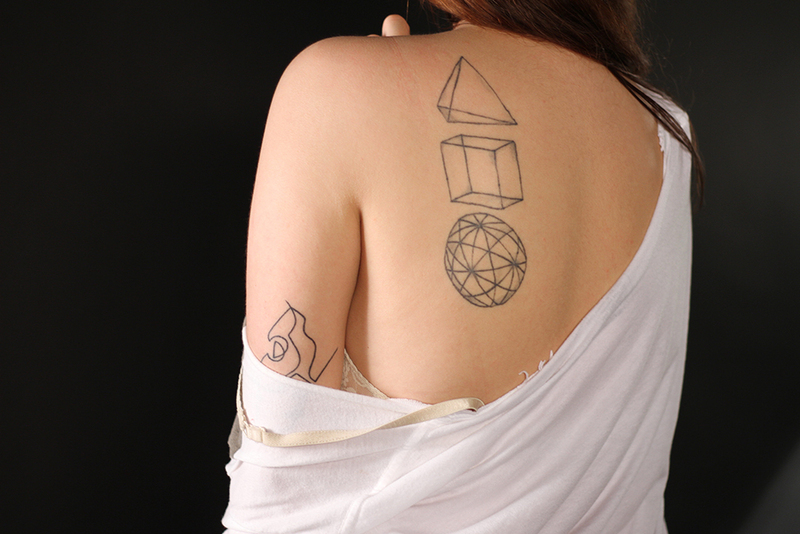 Emily Hess, a senior at Ithaca College, got her first tattoo during her freshman year of college. Thompson said he doesn’t see much of a difference in the attitudes of colleagues and students towards his tattoos between working at Fordham University in the Bronx, N.Y. and at Ithaca College. At Fordham, he said he made efforts to clean up for work but as more of an issue with job insecurity than being self-conscious of his tattoos. In his final years there, he gave up trying to be squeaky clean. Hess isn’t worried about her tattoos affecting her career plans. However, those who subscribe to the stigma around body modification may see tattooing through a different lens. Thompson said he believes body modification within the academic world is becoming more common. He cites a consistency with broader social patterns in the United States. Ortolaza agrees that there is a shift in popular conceptions of tattoos. Tattooing is expanding. The millennial generation and the age groups preceding them are less likely to express concern about increasing numbers of people getting tattoos in comparison to those age 50 and older, according to a Pew Research Center study. And as the millennial generation begins to take their professional places in the world of academia, they will be more likely to have tattoos than their Generation X counterparts. Whether it’s the permanence, the process or the artistry behind them, tattooing has withstood time. Hess thinks that tattoos are becoming more acceptable. “I think judging a person based on body modifications is an old-fashioned way of thinking,” she said. Thompson said he sees what he refers to as a “limited pathway to self-realization” as a ritual that will stick around. Rae Harris is a senior Journalism major who has a tattoo of the Captain Morgan pirate on their right thigh. You can reach them at rharris3@ithaca.edu.